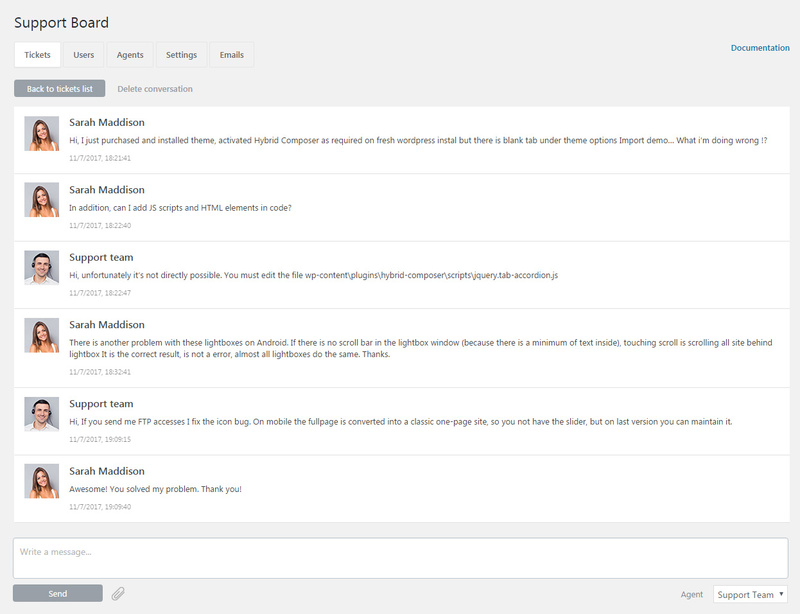 Support Board is a powerful chat and support solution to communicate with your users. Complete tickets system, chat, dedicated membership system and much more. No coding skills required! 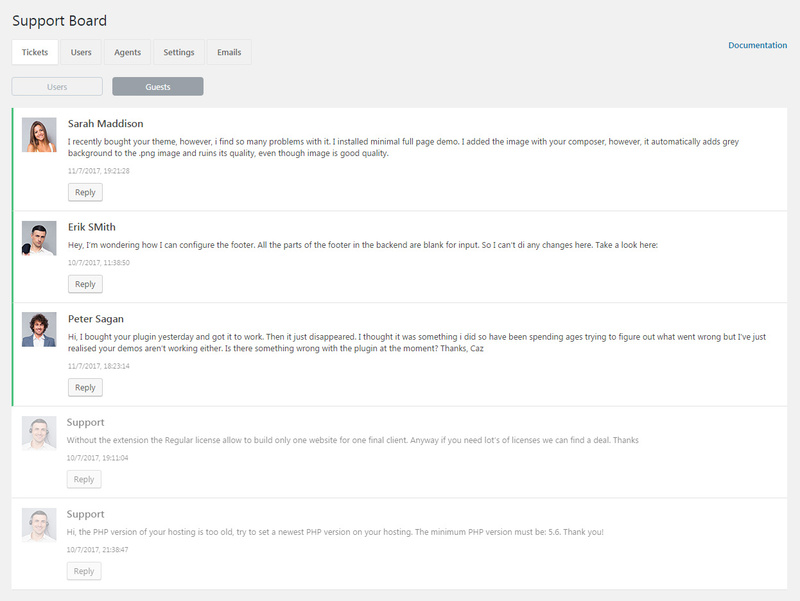 Support desk and chat plugin for WordPress. A complete solution to provide support to your audience. The first WordPress plugin with a complete bot integration powered by API.AI by Google. The cheapest and best Slack integration. Slack chat full synchronization – Send and receive user messages directly from Slack. Work immediately – Immediate installation and usage by just insert the shortcode. Rich messages – Dialogflow bot rich messages sending. Bot – Integrate a multilangual bot powered by API.AI. 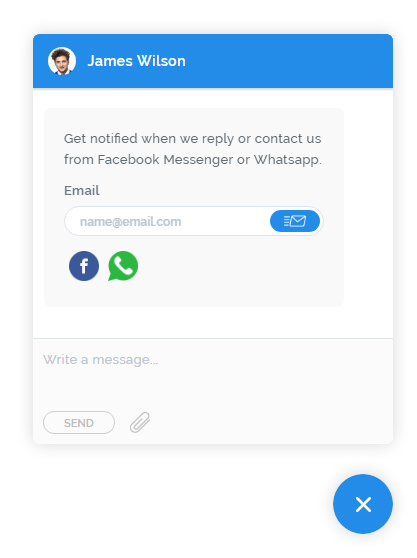 Email notifications – Notify users and agents by email when a reply is received. Tickets system – Fast, powerful and user friendly tickets system. 100% responsive – Fully esponsive for smartphones and tables. Agents and users – Add and edit users and agents on the admin side. WordPress users – Login and membership can be also the original WordPress users system. Multilingual – Fully translatable on admin side and front-end side. 100% compatible with WPML and Right To Left direction (RTL) available. Frond-end is already translated in 13 languages: english, spanish, chinese (simplified 简体中文), chinese (traditional 繁體中文), arabic (العربية), portuguese, dutch, russian, japanese, italian, deutsch, french, polish. Indipendent users system – Dedicated and indipendent users system disconnected from WordPress users. 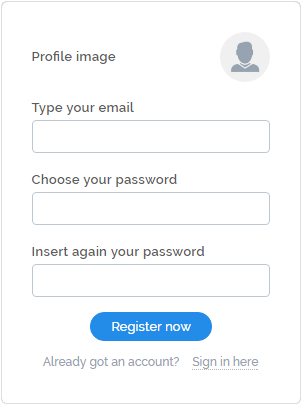 Login and registration forms – Custom registration form with four optianal fields. 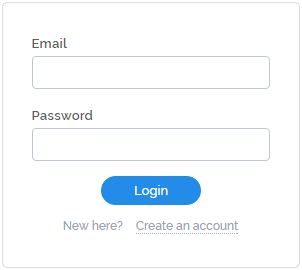 User can login with username or email. Scroll box – Support desk can use a scroll box container that create a inner scrollable area, the box can be also fullwidth. 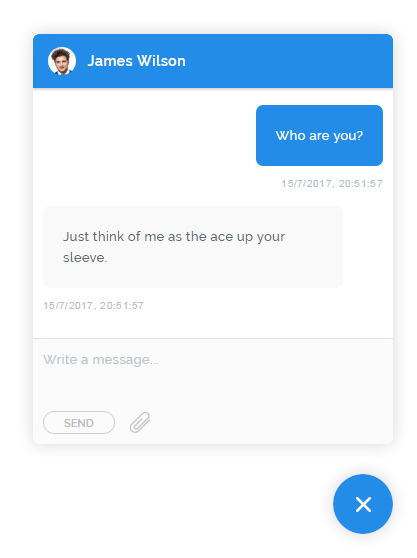 Layouts – You can choose if show the profile image or not on both registration and conversation. Unified administration – Manage both support and the chat conversations and tickets in one place. Sounds – Play a sound when the user receive a new message. Members and guest users – Show the chat only to registered users or to everyone. Not registered users will be automatically registered as guests. Welcome message – Send a message to new users automatically. The message is sent only the first time the user visit your website and can play the message sound. Top performance37kb of JS and 16KB of CSS. Google Font can be disabled on admin. Regular updates Like for all our products we guarantee constant updates and bugs fix. Colors Change the chat colors. 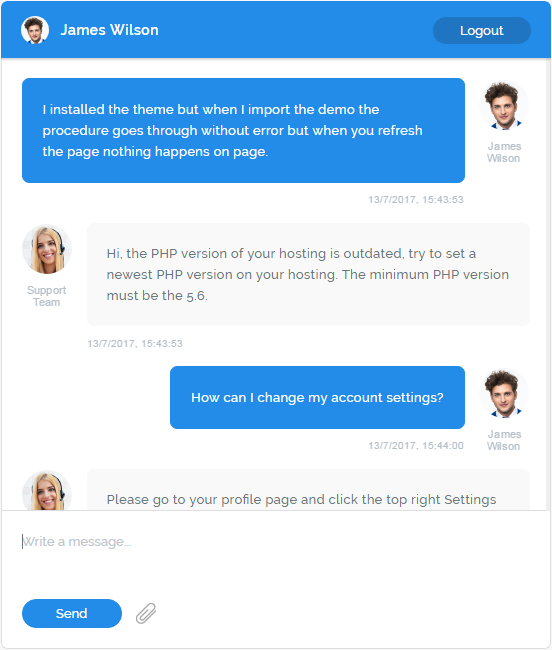 - NEW FEATURE (WP) - Performance improvement, the chat\desk now communicate directly with the database without passing through WordPress. This feature allow also the very slow websites to use the plugin. - BUG FIX - Minor bugs fix. - NEW FEATURE - New option allow to maintain closed the chat with the welcome message. - BUG FIX - Slack agents assignment. - UPDATE - Free slack full integration. Free forever! 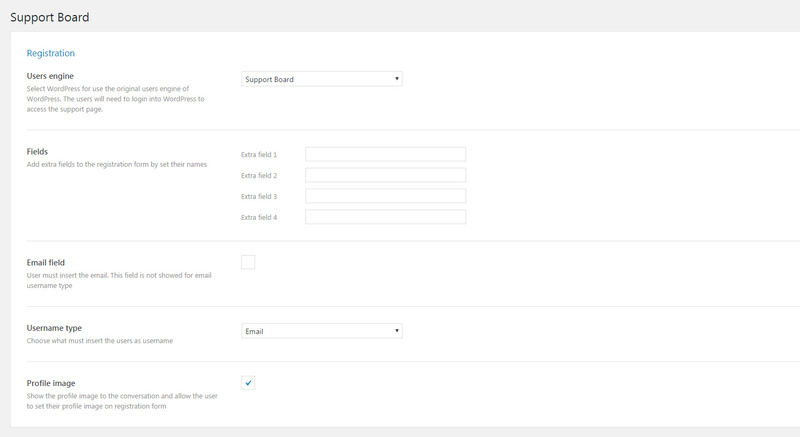 - NEW FEATURE - Support desk without login. - BUG FIX - Chat stay closed after user closed it also if pending messages. - BUG FIX - Removed temporary double bot response message. - BUG FIX - Fixed infinite push notifications problem. - NEW FEATURE - Tickets and support board panel available for all users types (subscriber, author, contributor, editor, administrator). - NEW FEATURE - Encrypted passwords for Support Board users. - BUG FIX - Chat height now adjust automatically to fit the browser height. 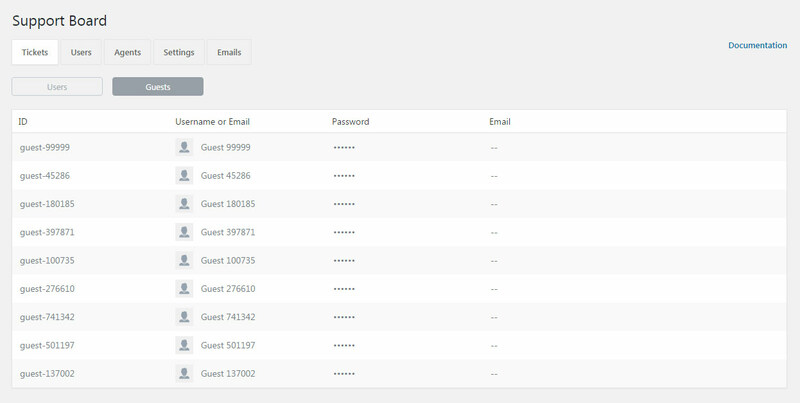 - NEW FEATURE - New All button for admin tickets show both members and guest tickets. - BUG FIX - Minor design and code bugs fixes. - BUG FIX - Bot problem with unicode chars for some language like russian. 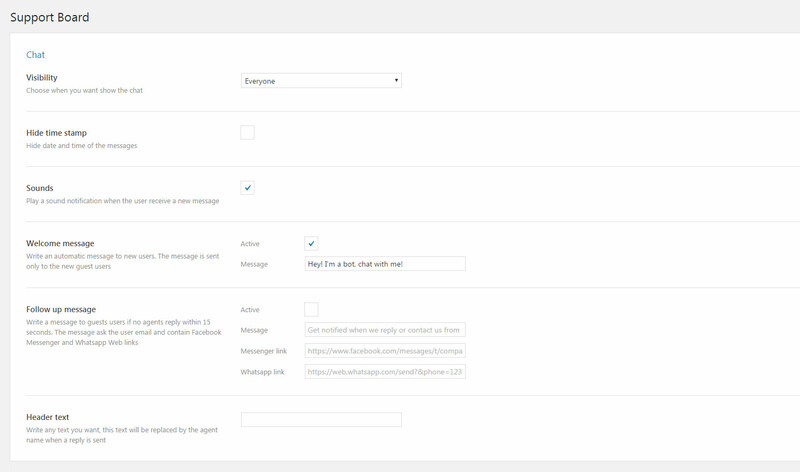 - NEW FEATURE - Slack full integration, communicate with your users directly from Slack. - NEW FEATURE - Auto removing of start\end white spaces. - NEW FEATURE - Show profile images also on chat. - NEW FEATURE - Push notifications for agents and users. - NEW FEATURE - Real-time tickets on WordPress admin area. - NEW FEATURE - Welcome message profile image. - NEW FEATURE - Link recognition of images. - NEW FEATURE - Set chat icon. - NEW FEATURE - Better design on mobile. - NEW FEATURE - Flashing notifications to the website title. - NEW FEATURE - Command #follow fot show the follow up message manually when you want. - NEW FEATURE - Big header for chat, show agents and description. - NEW FEATURE - Authorization option for show only tickets area to not admin users. - NEW FEATURE - Option to show the welcome message every time. - BUG FIX - Email notifications. - BUG FIX - Wrong fields when adding new user on admin. - BUG FIX - Minor design and js bugs. - UPDATE - Upload folder moved to /wp-contents/uploads/supportboard/ folder. YOU NEED TO MOVE ALL FOLDERS OF /wp-content/plugins/supportboard/upload/ FOLDER INTO THE NEW LOCATION. - Security improvement for files upload, now accept only safe file extensions. - BUG FIX - Special chars on conversation. - BUG FIX - Design issues on various themes. - BUG FIX - Link recognition. - BUG FIX - Admin images upload.